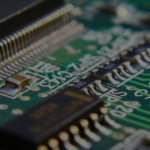 Litho Circuits provides full turn-key solutions to the PCB industry, specializing in ATE Loadboards, Probecards, Reliability Boards, Applications Boards and Design Evaluation Boards along with a wide variety of other board types for various markets. Litho Circuits are looking for Senior Cadence PCB Design Engineers to join their growing team. Contract and Full time positions are available with options for candidates to work from our premises in Limerick Ireland or off-site at their own premises. The candidates will report to the Design Manager on a daily basis and should have excellent communication skills. Generate symbol and footprint component libraries. Create the full documentation design package of schematics, fabrication, assembly, and panel drawings. Create the fabrication package data of Gerber files, drill data, placement data, Bill of Materials and IPC netlist data. Perform quality control reviews of library components and design packages created by other PCB team members. 6+ years experience with layout and routing of complex PCBs. Experience building symbol and footprint libraries. Ability to route signals with differential pair and matched length requirements. Familiar with high destiny (HDI) requirements and working knowledge of micro, blind, buried and stacked vias, and fine pitch BGA components. Capable of determining Impedance control stack-up. Incorporate placement and routing guidelines into the layout that are provided by the component manufacture. Apply Signal Integrity principles to assure high performance signal transmission, low levels of cross talk, and intra-board interference. Incorporate Design for Manufacturing (DFM) rules. Ability to adapt to changes during layout and still meet project release deadlines. 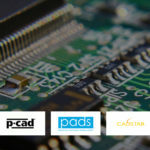 Altium Designer or PCAD is a bonus. Trained to review design packages including Gerber files using Camtastic. Ideal candidate to have experience in the design of ATE Loadboards and Probecards for the Semiconductor sector.